With the baby coming in the new year, I’m going light on the reading challenges, though I do still have the perpetual Reagan Arthur Challenge, which will carry into the new year and beyond until I quit. Let’s start off with the challenge I will host in 2011 and the one I co-host every year with Anna at Diary of an Eccentric. I’ll be reading about 5-10 poetry books, one of which will be for the group read-a-long and discussion, for my Fearless Poetry Exploration Reading Challenge. 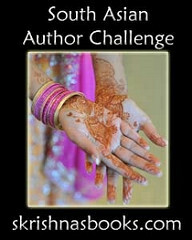 The challenge officially requires participants to only read 1 book and just give poetry a chance in 2011. I’m hoping a lot more of you that don’t read poetry will sign up to try just one book. The challenge runs from January through December 2011. Check out the details here. War Through the Generations, a blog dedicated to war-related reading challenges, is hosting a U.S. Civil War reading challenge in the new year. For this one, I’m going light with 3-5 books (or up to 2 movies). I could end up reading more books, but I don’t want to over-commit myself. The challenge runs through January through December 2011. I hope many of you will join us for this challenge. I really enjoyed this challenge this year, and I’m signing up to do it again in 2011. While I did increase my goal to 50 new-to-me authors this year, in 2011, I will be sticking with the 25 new authors limit. I read way more than 50 new-to-me authors this year, reaching 62. These new authors don’t have to be debut authors, and the challenge runs from January through December 2011. Check it out. 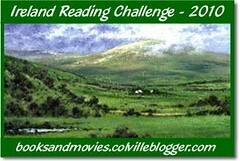 I’ll be signing up for the Wish I’d Read That Challenge 2011 at the curious level, with 3 books. I could end up reading more than that. One book I’ll plan on reading is Persuasion by Jane Austen and perhaps the Stieg Larsson series. The challenge runs from January through December 2011. 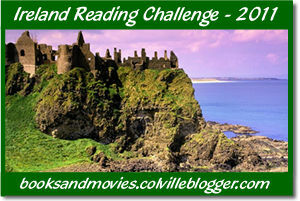 I also enjoyed the Ireland Reading Challenge this year, and I am signing up to read for it again. Carrie has a great list of suggested books and authors. The challenge runs from January through November 30, 2011. I’ll be signing up for the Shamrock level again with 2 books, and I plan on participating in the read-a-long. Finally, I’m signing up for the Nordic Reading Challenge 2011, which runs from January through December 2011. I’ll be reading for the Freya level of 3-5 books, with the intention of reading the Stieg Larsson series. I’ve meant to read these books for a long time. That’s it for now. How many have you signed up for? Ok, I broke down and signed up for a more informal challenge because I failed the Sookie Stackhouse Reading challenge last year, and this one gives me a chance to redeem myself. Dar at Peeking Between the Pages is hosting her own 2011 Sookie Stackhouse Reading Challenge, and I’ve decided to throw in too. I’ll be reading the remaining books in the series that I failed to read in 2010. Starting with book 5, Dead as a Doornail. I wholeheartedly point the finger at Kathy from Bermudaonion for convincing me to join yet another challenge. Yup, we were chatting during That’s How I Blog, and here I am today, joining another challenge. The best part of this challenge is that there are no deadlines or minimums to meet! 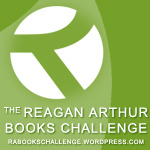 I just have to read books with the Reagan Arthur imprint! Reading can be print or e-books and audio! Don’t you just love flexibility. I know I do. What books will you be reading for the challenge? FTC Disclosure: Clicking on title links will bring you to my Amazon Affiliate page, no purchase necessary.